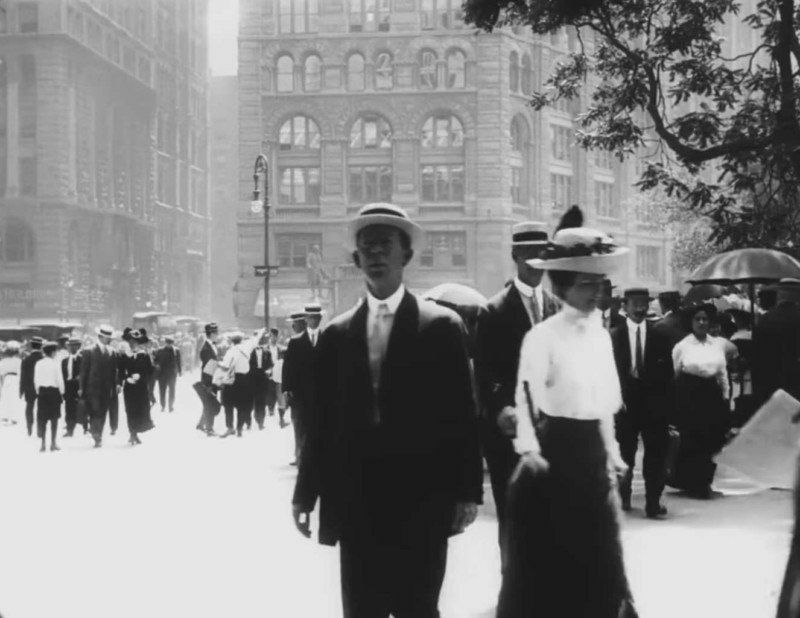 In 1911, a Swedish film crew from Svenska Biografteatern, who were sent around the world to make pictures of well-known places, came to the United States through New York City and captured beautifully clear footage of daily street life in the burgeoning American metropolis along with every mode of transportation available at the time. 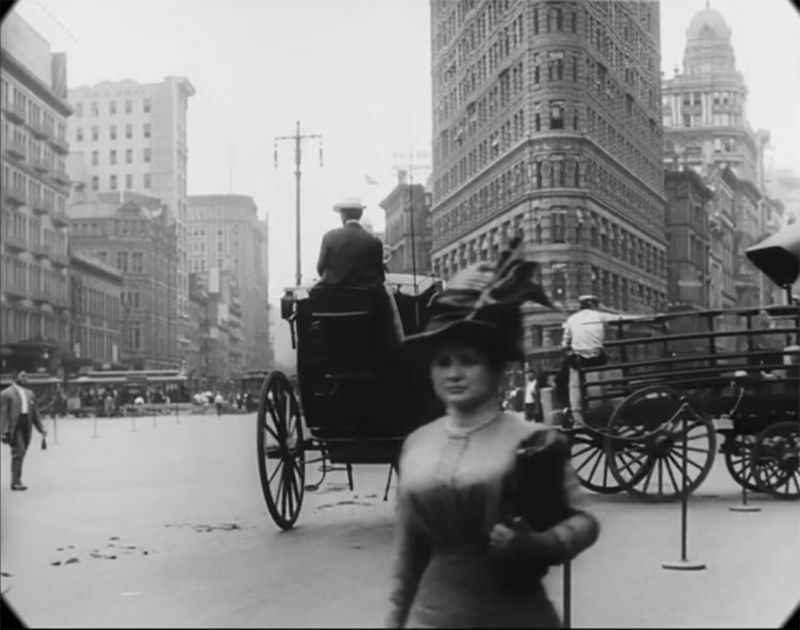 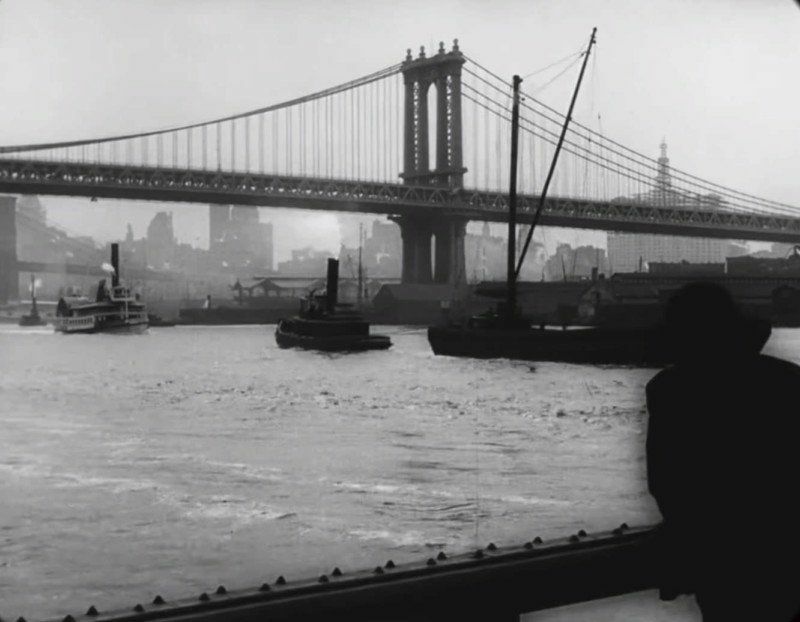 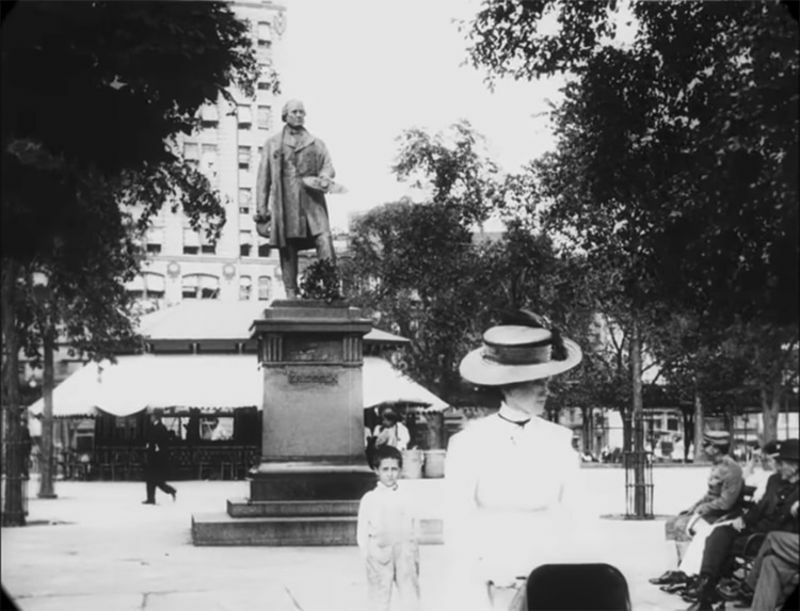 Opening and closing with shots of the Statue of Liberty, the film also includes New York Harbor; Battery Park and the John Ericsson statue; the elevated railways at Bowery and Worth Streets; Broadway sights like Grace Church and Mark Cross; the Flatiron Building on Fifth Avenue; and Madison Avenue. 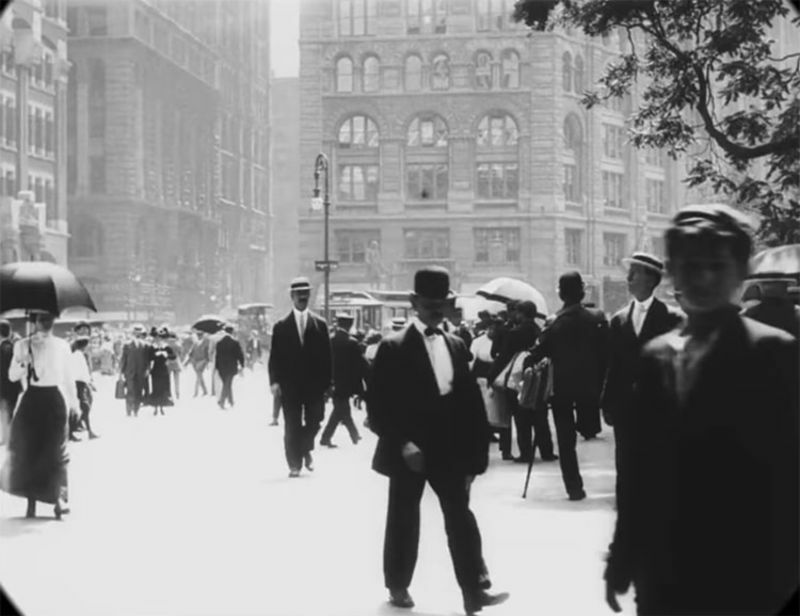 Produced only three years before the outbreak of World War I, the everyday life of the city recorded here—street traffic, people going about their business—has a casual, almost pastoral quality that differs from the modernist perspective of later city-symphony films.